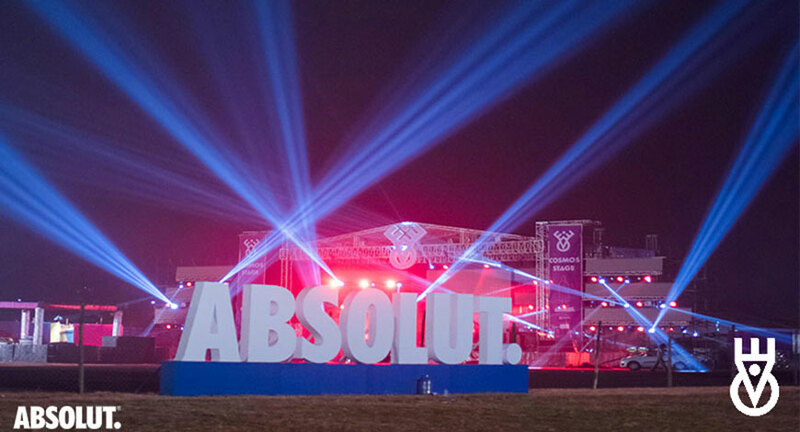 The Absolut Enchanted Valley Carnival 2016 kicked off on 17th December with a host of musical performances, fun activities, camping, bonfires packed between 2 days at the Aamby Valley airstrip. Kicking off day 1, Alpha X Omega and Mojojojo’s EDM Dance beats set the mood at the Cosmos stage. The day continued with the opening of the Terra and Akva stages with Monophonik, Blank and DJ Ankur Sood. As the crowd continued to enjoy the music, campers treated themselves to the 24 hr meal service at Culinarium. The crowd could enjoy an array of sports and cultural activities including quad biking and bungee jumping. As the day continued the line-up delivered a variety of music spanning different genres with Anish Sood, Arsh Vs Folic State, Juliet Sikora. As the sun set, Bollywood fans rejoiced to the tunes of R&B trio Rishi Rich, Juggy D and DASU. A performance in India for the first time in 10 years, Rishi rich and Juggy D had an eager audience who were taken back in time with their favorite hits. The evening continued with one of the most awaited performances by Farhan Live unleashing crowd favorites from Rock On and Rock On 2. The attendees of the Terra stage enjoyed the soulful performance by Arjun Kanungo followed by the Punjabi beats of Badshah. The surprise DJ Dutch duo Blasterjaxx rocked the audience with their covers and remixes and American rapper Flo Rida set the stage on fire with his top songs ‘Low’, ‘Right Round’, ‘My House.’and many more. A few lucky girls even got a chance to dance with Flo Rida on stage during his performance of 'low'. Adding to it, Flo Rida got off the stage and made his way in the crowd. This was followed by three after parties including a silent Party by the campsite for every kind of music lover. Day 2 of EVC saw artists such as One & One, Hard Candies, Shirley Setia, Papon, Arijit Singh, Alan Walker, Lost Stories, Qwiver x Audio Glitch, Diatonic and the grand finale by Chris Liebing. Devraj Sanyal, MD & CEO, Universal Music Group South Asia shared, “We've kicked off the festival with a bang. There's been a phenomenal response for all 3 stages and we've seen a mammoth crowd descending from various parts of the region. Flo Rida has knocked it out of the park with his performance & given fans something to remember for a long long time. Farhan Akhtar, Badshah, Rishi Rich and Juggy D have made us believe that introducing Bollywood this year was the best move we've made."